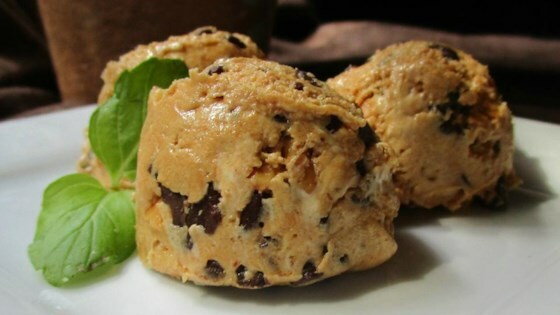 "This recipe is made with Chocolate chips, peanut butter and marshmallow fluff! No cooking or baking necessary. What could be easier? " In a medium bowl, mix together the peanut butter and marshmallow fluff. Stir in chocolate chips. Roll into 1 inch balls and serve. I didn't feel like rolling them because they were really sticky so I ate it off the spoon. Used homemade marhsmallow fluff. They are sticky..but I found rolling them in a mixture of brown sugar and cocoa powder helped. I did put them in the fridge unwrapped helped also. My family loved them! This was very good and so easy to make. My almost 3 year old daughter loves them. I put them in the refrigerator for a couple hours and they are not really sticky.